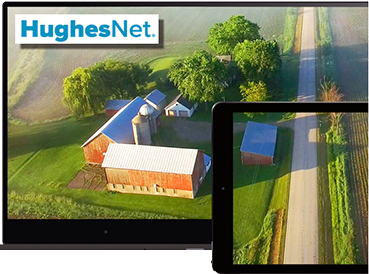 Hughes Network Systems, LLC (Hughes) has launched their HughesNet Internet Continuity service, a subscription-based connectivity backup service for small businesses that keeps the internet up and running in the event of unexpected outages. The service, which switches users automatically to satellite broadband any time their terrestrial Internet connection goes down, provides businesses affordable protection against losses due to cable, fiber or DSL outages. HughesNet Internet Continuity uses a WiFi modem, antenna, radio and a failover router to establish a system that switches connectivity from terrestrial to satellite and back again, automatically. Businesses may purchase or lease the equipment, which is professionally installed. If DSL, cable or fiber internet connections go down, the HughesNet Automatic Failover Router seamlessly switches the connection to satellite. When the primary service is restored, HughesNet Internet Continuity automatically reverts back to the primary service. This enables business functions like credit card processing and web services to continue working as long as the power remains on. Peter Gulla, SVP of marketing at Hughes, said that whether as a result of DSL degradation, equipment malfunction or severe weather, terrestrial Internet outages are commonplace. For small businesses that rely on the internet, an unexpected outage can hurt their bottom line. HughesNet Internet Continuity was created to give small business owners an affordable, automatic backup system to maintain business as usual when terrestrial connectivity fails. An outage can cost a small business thousands of dollars per day in lost revenue and employee productivity,. Traditional backup options rely on 4G networks and suffer from inconsistent or spotty coverage. Satellite Internet Continuity provides reliable service and offers additional data at a significantly lower cost than 4G backup plans. HughesNet Internet Continuity has download speeds of 25 Mbps and upload speeds of 3 Mbps.